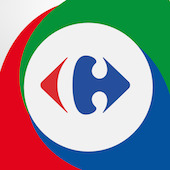 MyCarrefour 2.0 Carrefour application for iOS and Android Platform is one of the most sophisticated application for GDO Supermarket with the possibilities to have visibility of GEO localized shops, discount flyer and even fuel gas station with daily price of the gas. The application is one of the colored and nice application on the store available now. In Cucina guidi Tu! Galbani application for iOS and Android Platform is one of the most sophisticated application for recipes with the possibilities to have voice commands to browser the steps of recipe , audio recipe , video recipe , products and barcode reader to find the best recipe with a specific Galbani products , it is available on Itunes and Play store now. Timberland Mr. Tree Timberland is a marketing application developed for Android and iOS platform available on their respective store. Mr. Tree is a nice graphical application that act as store locator and let you get a gadget once you shot a QR code into the store. 123 Chiama 123 Chiama is a nice and user friendly application from Vodafone Italy that help you to accelerate the calling of your contact list when you are outside Italian Country to save phone bill money when you are in roaming. The application is a very useful apps with cute graphics as user interface to retrieve easily all the contact from Phonebook.